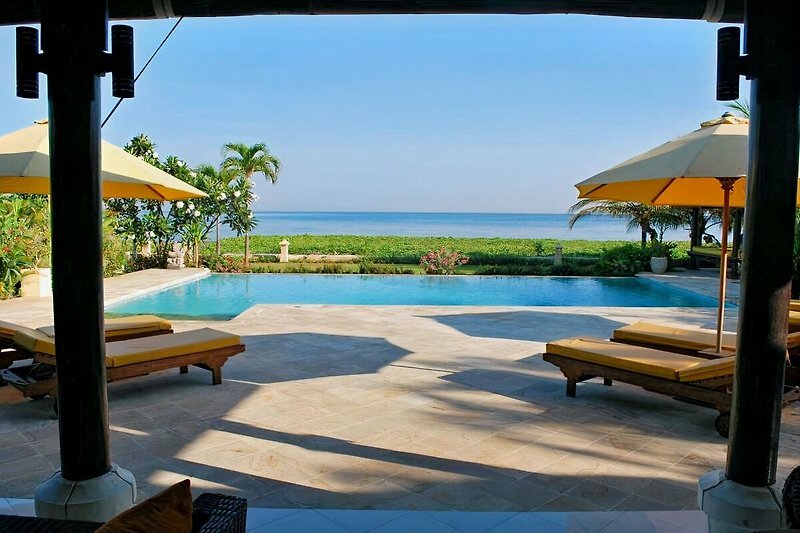 Villa Cerah is a newly built villa (2012), situated directly on the beach and the sea in the quiet and authentic northern Bali. It has Dutch owners and can accommodate up to 8 people. The format consists of a spacious living room, an open kitchen and four bedrooms. Each bedroom has a private bathroom with a shower, toilet, a bathroom cabinet with granite counters and a fixed basin. The kitchen is fully equipped. The villa is built on a private plot of approx 2000 m2, has a beautiful tropical garden with a beautiful swimming pool and lots of privacy. 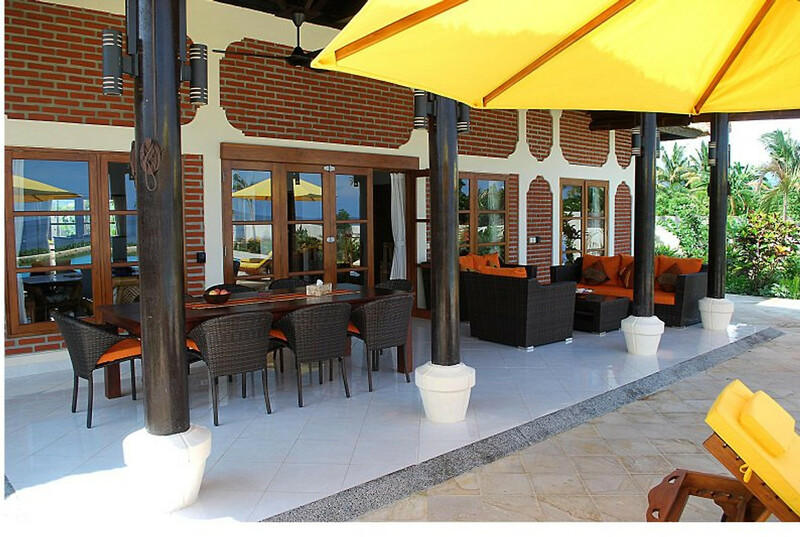 On the partly covered terrace under cheerful colored parasols, from comfortable chairs or lounge set, you can relax and enjoy the peace and the splendid view over the beach and sea directly in front of the villa. You rent the villa in its entirety. There are no other guests. Our permanent staff consists of a housekeepers (if 4 or more guest the service of 2 houskeepers), a gardener and a security guard, all included in the price. The housekeepers (pembantu's) will 6 days per week cook for you, clean the house, make the beds and can take care for your groceries. Even your laundry and ironing they can do, though it is at your own risk. The maintenance of the garden and pool are entrusted to our regular gardener. The security guard will protect in the evening and at night the guests and the villa. If necessary in those hours he is your contact. Bed linen, towels and beach towels are available in sufficient quantities and included in the price. The villa has free wireless Internet. All bedrooms have individually operated air conditioners. 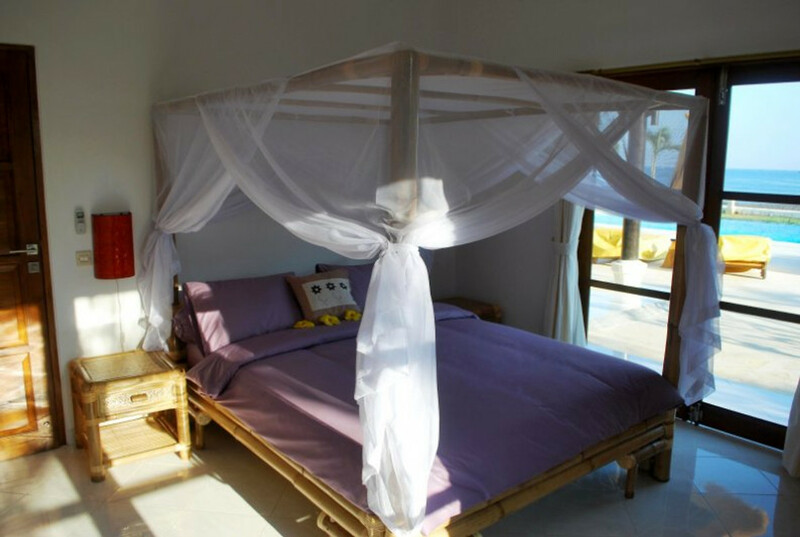 Three bedrooms are furnished with decorative double queensize beds in bamboo style with mosquito net. The fourth bedroom has two single beds, also with mosquito a net. 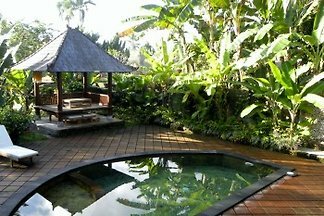 In the garden, near the beach at the end of the terrace / pool the is a Bale Bengong (rest house with thatched roof) situated. It has a large mattress, pillows and padded unrolling bamboo wind and sun covers). It is a ideal place to relax or to have a massage. From here you can enjoy an unobstructed view of the beach, sea and occasionally the activities of local fishermen in their characteristic boats and fishing nets. As a service you will after your arrival be offered a free welcome dinner, and breakfast the next morning. In the living room there is an extra desk-side table present with enough sockets (adapter required?? ), where laptop (s) and other equipment can be placed. Bedroom with sea view and patio doors to the terrace. The queensize bed has a mosquito net. The bedroom has a private bathroom with toilet and shower. Bedroom has view over the garden, the rice fields and the mountains of Bali. The queensize bed has a mosquito net. The bedroom has a private bathroom with toilet and shower. Bedroom has view over the garden, the rice fields and the mountains of Bali. The beds are each equipped with a mosquito net. The bedroom has a private bathroom with toilet and shower. The rent of the villa includes also a housekeeper for 6 days per week. She (2 housekeepers at 4 or more guests)keeps the house clean, make the beds, cook for you and takes care of the laundry. Besides the specified kitchen inventory you will find a blender (food processor), a rice-cooker (cooker) and a toaster. Freshwater swimming pool. Spacious (partially covered) terrace between villa and sea. Spacious 3 meter wide walk-step-in step pool entrance. Lowest point at entry of 80 cm area 4 meter. Pool with an overflow on the long side with sea view. On the terrace can be smoked. Because of the thatched roof covering of te villa villa is open fire, such as barbecue, not allowed. Villa Cerah is located directly on the fine volcanic sand beach in the authentic north of Bali near Lovina. From the partly covered terrace and seated in sun loungers under parasols, you have a magnificent view over the pool with "overflow", the beach and the Bali Sea. A small walk along the beach brings you to the fishing community of Lokapaksa. The locals are very friendly. 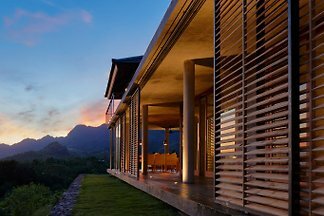 On the south side of the villa you have a view over the rice fields to the mountains of Bulaleng. The villa is located near the town of Seririt. This village has several shops and a typical Balinese market. Seririt is so you want to visit from the beach on foot in 20 minutes. Next to Seririt you will find the famous Lovina town and beach. In the villa, you will find an information map with all information about the villa, tourist activities and attractions. The base price is for 2 people. Then € will be charged for each additional person per night. The additional costs are the same for each season. Prices staff included: housekeepers/cook, gardener/poolman and security guard (2 housekeepers from of 5 guests / or on request at an additional cost. Prices include 10% Rental Tax. In the case of shortcomings the prices on our websiteare conclusive and binding. Prices are for 2 people. Then a surcharge of € 10, - per person per night will be calculated. Price offer not for surcharges. Deposit € per stay. 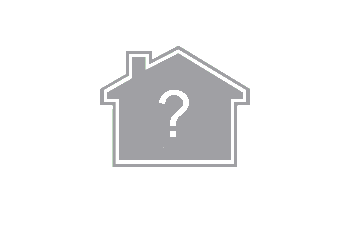 Restitution of the deposit within 10 days after the rental period under the condition of normal use of the villa. Car seat, baby bath, high chair and cot available. Wireless broadband internet and Skype possible. 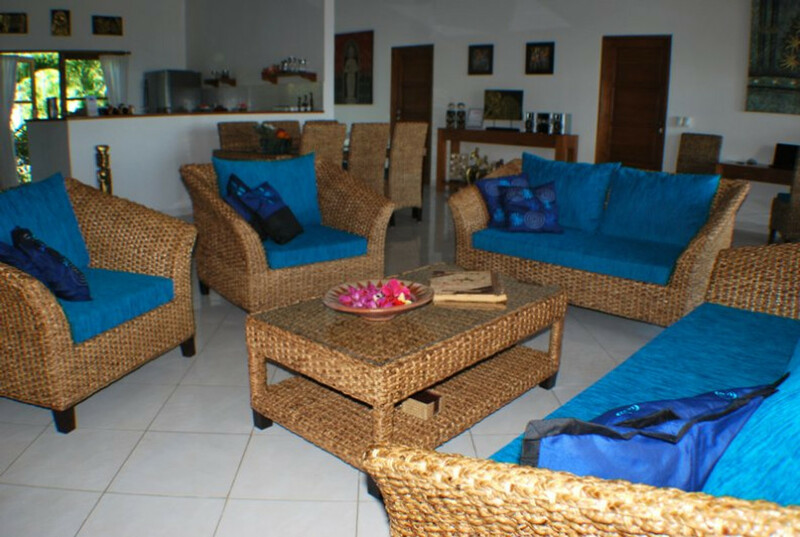 Visit also our website "Villa Crah"
We have been looking for a suitable place, but here in Bali all came together: a fantastic location, a lot of culture, attractions and above all friendly people. Directly on the beach and the sea and a beautiful tropical garden. And last but not least, all seasons sunny weather. 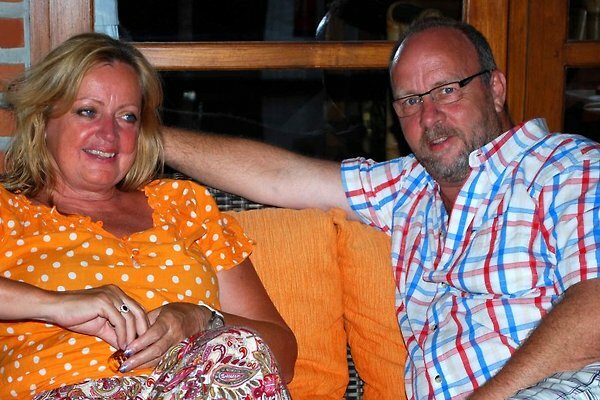 It is very nice to be able to share our "Bali feeling" with the guests of the villa. Selamat datang di rumah kami: You are welcome at Villa Cerah.